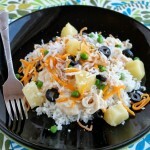 Hawaiian Haystacks - Dessert Now, Dinner Later! 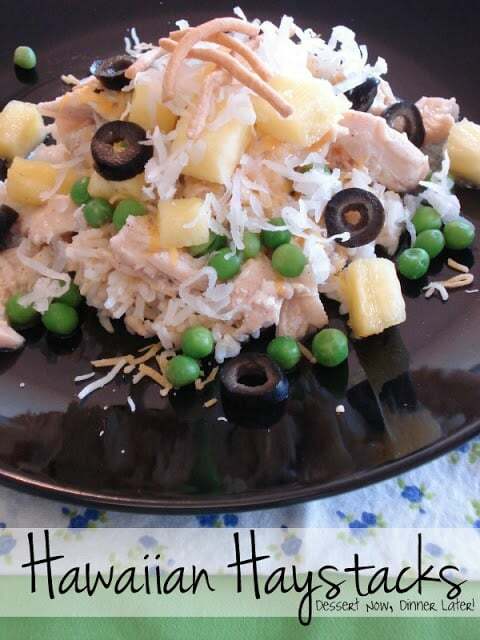 So Hawaiian Haystacks is a staple dinner in most homes. But a lot of those homes use cream of chicken soup in a can to make theirs. Not me! 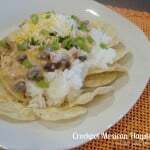 This no cream of condensed soup recipe has great flavor with a couple of unique ingredients that sets it apart from all the others. 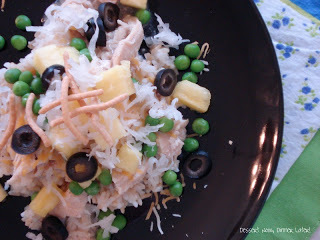 The cinnamon gives it kind of a jerk chicken feel that balances especially well with the pineapple & coconut toppings. Not so sure about those flavors? Give it a try! I know you will like it. 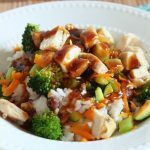 This recipe can be made in the crock pot if you are away for the day, or whipped up in half an hour on the stove top if you need a quick week night dinner. Combine ½ cup chicken broth & ½ cup milk in a glass measure cup with a spout. In a small saucepan, heat butter until melted. Whisk in flour until it clumps up. SLOWLY add chicken broth/milk mixture, whisking briskly so that the mixture does not clump up. Continue until the liquid is added & the mixture boils & thickens. Remove from heat. Add additional ½ cup of chicken broth, dried onion, garlic powder, black pepper, salt, sugar & cinnamon. Pour mixture into a small crock pot. 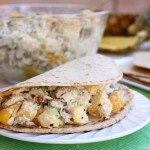 Add chicken breasts & let cook, on low for 4-6 hours or until fully cooked. Remove chicken breasts, shred, & place back into gravy. Taste & adjust seasonings if needed. 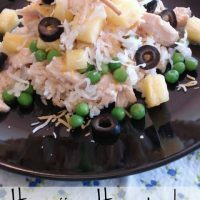 Serve over cooked brown rice with desired toppings: peas, fresh pineapple, olives, cheese, coconut flakes, chow mein noodles, etc. *No crock pot method: Boil chicken in water for 10-15 minutes or until done. Remove from water & dice chicken with a knife. Make sauce as above & add cooked chicken. Bring chicken & gravy mixture to a boil. 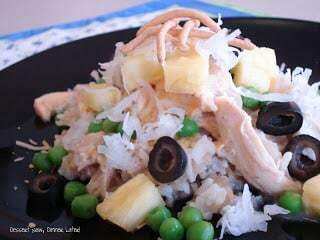 Serve over rice with desired toppings.